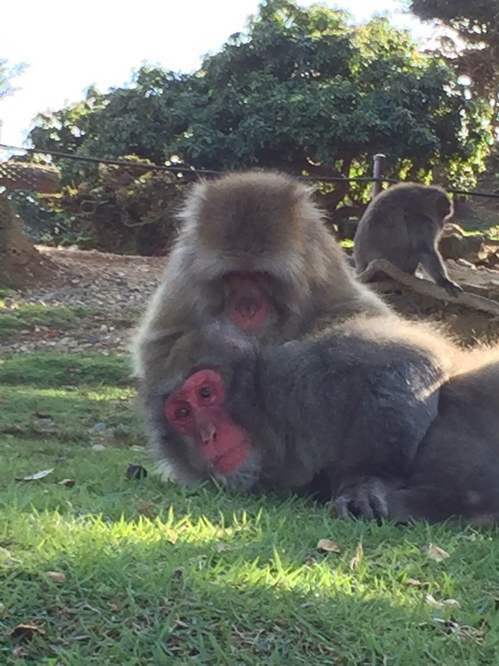 As you know, Monkey park is one of the popular spot in Kyoto. On trip advisor they have got a lot of good reviews. It is located in Arashiyama area, close to Togetsu-kyo bridge. Entrance is a Shrine so you can pray first. You need to hike up for 10-15 mins to get top of the mountain where the monkeys live. Please do not stare monkeys eyes and do not hold any foods. Otherwise they will attack you! You can feed them from inside of the room. Apples are their favorite. 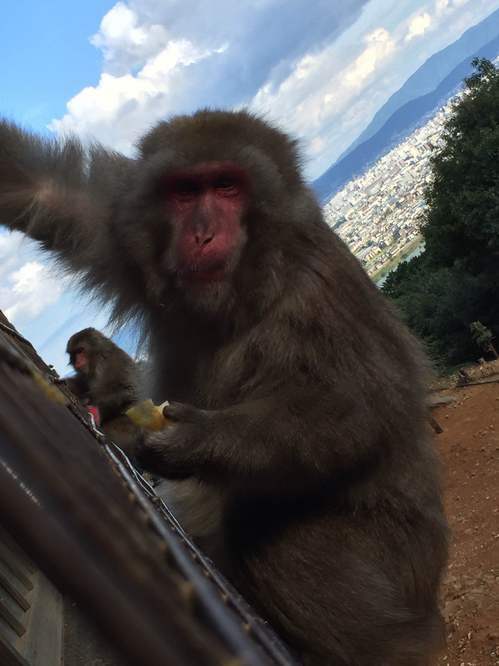 Besides monkeys you can see very beautiful view of Kyoto city. Photogenic spot I guess. I stayed there for 1-1 and a half hour. 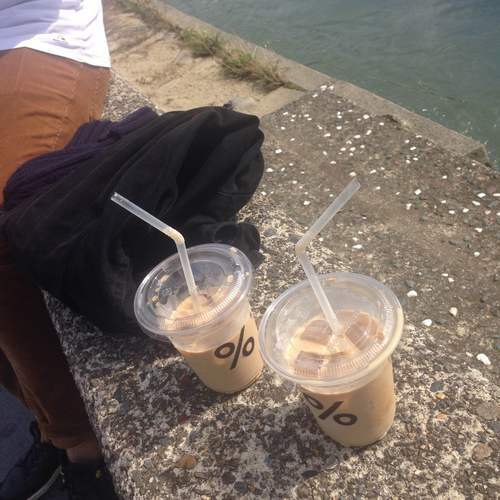 After that there is my favorite coffee shop 'Arabica coffee' close to Togetsu-kyo bridge. It's a bit chilly so time to try their hot latte bacause one of the staffs used to be a champion of latte art. 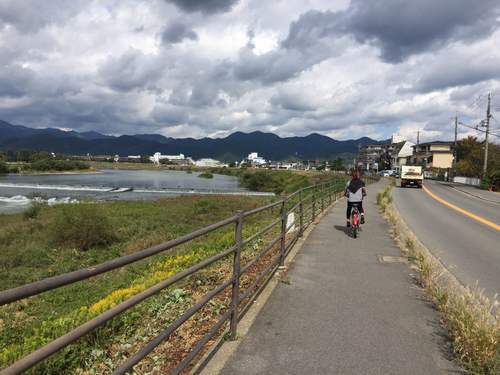 It takes 1 hour from Fuune to get to Arashiyama area. It's gonna be nice workout.